STEP 1 — prepare. On both hosts. and paste it to configs and hosts. Create vggroup and storage with lvm. STEP 2 — Configure nodes. On both nodes add config. STEP 3 — init nodes. On both nodes add config. Go to host human-K73SM and wait for progress is done. STEP 4 — format and mount. We will use Pacemaker as our Cluster Resource Manager and support can be gained for this from Linbit as with DRBD. When installing Pacemaker we will also install Corosync that is used to sync the Pacemaker cluster details. 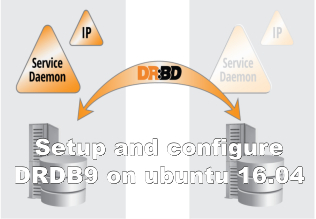 On both nodes we must first ensure that the DRBD service is not enabled on either node. Use the command crm status to see the cluster come online.